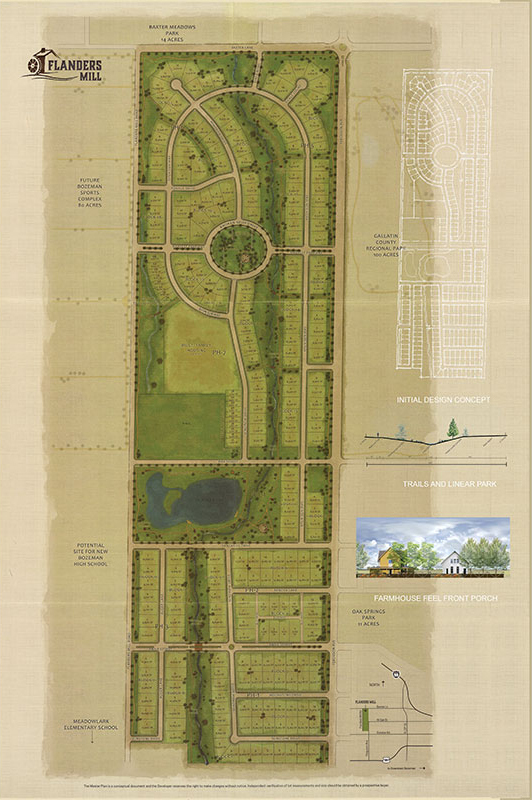 Walt Wolf’s vision for the project was a residential development that connected people to one another, while responsibly integrating with the surrounding environment. To this end, the design guidelines for Flanders Mill emphasized front porches and deemphasized garage doors. Individual property fences were lowered to encourage connection between neighbors. Likewise, extant natural features were accentuated and improved: a ditch that went through the property was rerouted and developed into a stream corridor; a large pond was formed; wetland areas were enhanced; a trail system featuring physical fitness areas at regular intervals was created. A final perimeter fence established cohesion and community while inviting connection to neighboring parks and school properties through intermittent portal features.